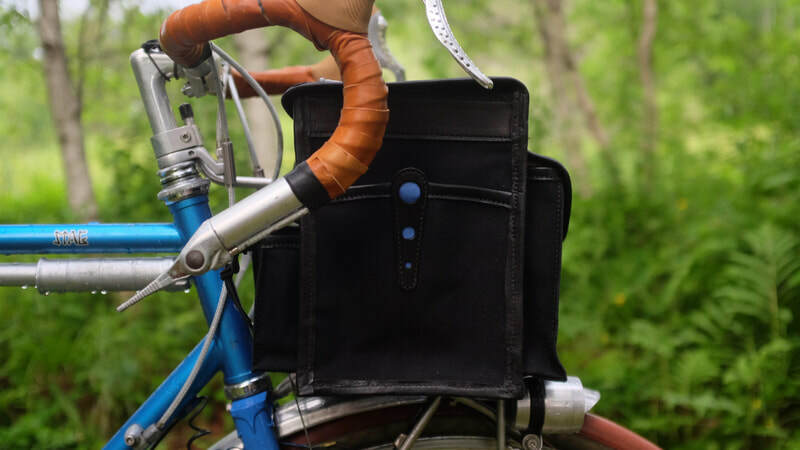 - Handlebar Bags - Waxwing Bag Co. 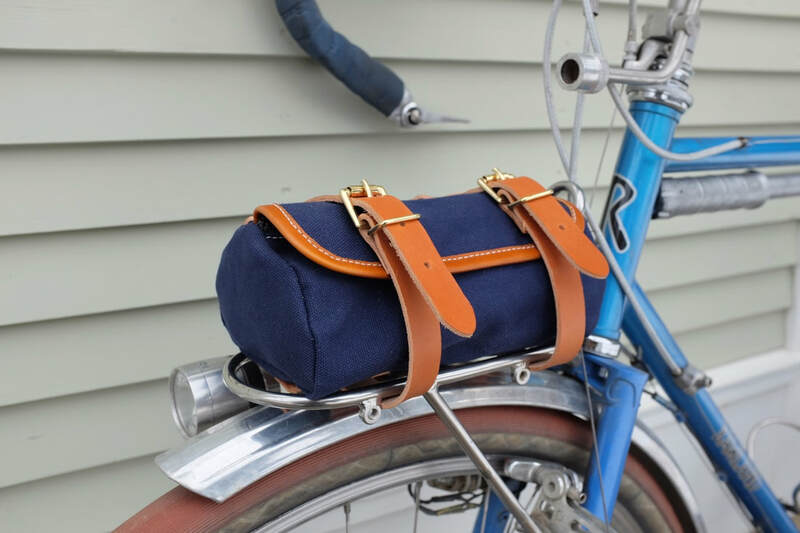 Patterned on traditional French randonneuring handlebar bags and typically seen on bikes that favor a front load, rando bags offer the unmistakeable convenience of having your stuff within easy reach at all times. If you've yet to experience the functionality and ease of having everything you need securely positioned right in front of you while you ride, you ought to give it a go--you'll dig it. 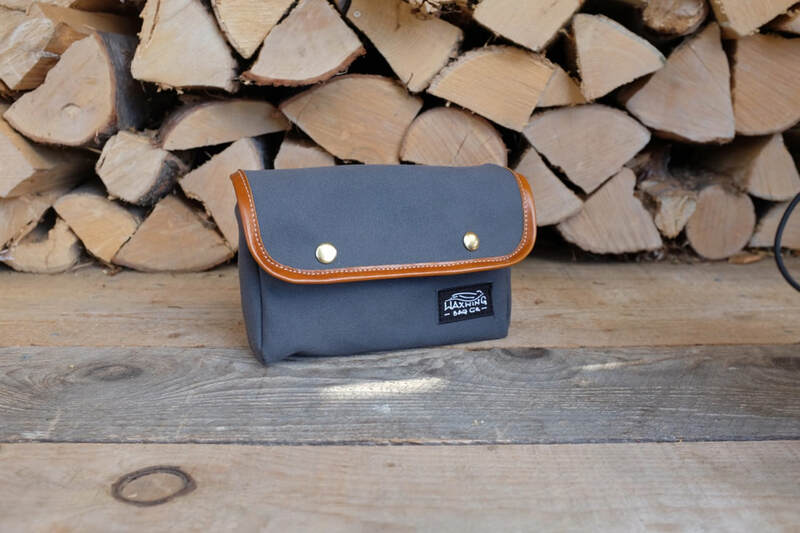 For Porteurs and other larger front bags, go here. 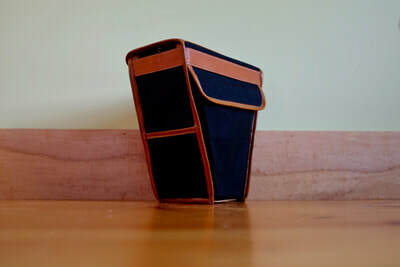 Front bags --also called handlebar bags-- are a box shaped bag with a roomy compartment for holding food, clothing, a camera and any other things you might want ready access to on a day's journey or a ride to work. Unless specified otherwise, front bags have a large single pocket on the front of the bag (handy for items that aren't needed on a frequent basis); sleeve pockets on the sides of the bag for (nice for small stuff like an envelope, a bar of chocolate, or brevet card); and two smaller pockets on the rear (good for frequent access to a phone, camera or wallet). 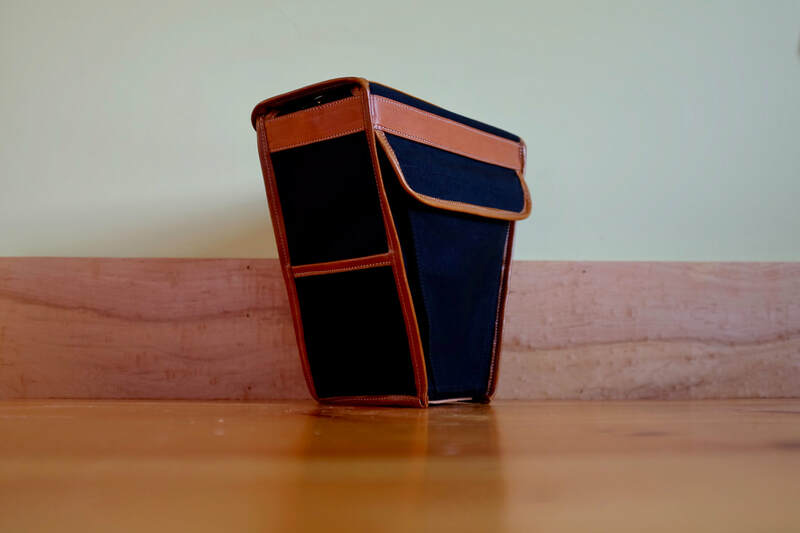 Other features that round out these bags are a clear map case on the top held closed with velcro and a backstop sleeve to help secure the bag to the vertical backstop of most front racks. Generally the choice of a stiffener is up to you; typically people choose coroplast to give their bag some structure if they feel they need it. I can supply an ABS plastic stiffener for an additional $10 that formed to the size of the bag. 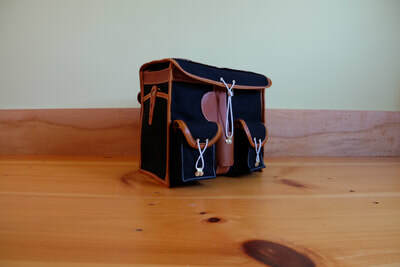 Waxwing Bag Co. is partnered with Dock-It™ decaleur to offer customized bag configurations to work specifically with this unique mechanism. Go here for more information.